The amazing untold story behind the meeting between Ronald Reagan and Mikhail Gorbachev in Reykjavik to stop the nuclear arms race. When Ronald Reagan and Mikhail Gorbachev sat down in Reykjavik in 1986, George Shultz, the U.S. Secretary of State, said that it was `the poker game with the highest stakes ever played.' It was the last time the world had a chance to do away entirely with nuclear weapons. This is the behind-the-scenes story of this remarkable summit conference in the remote Icelandic capital. 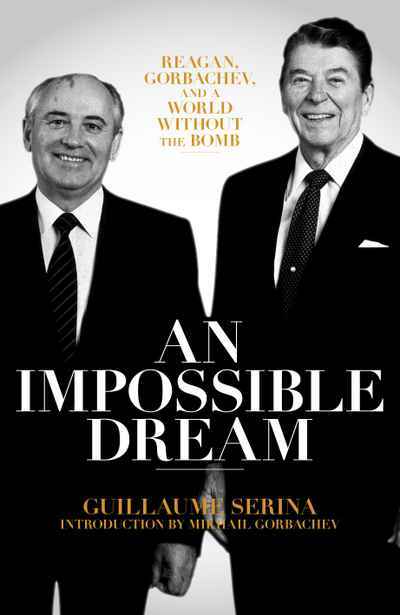 An Impossible Dream is the first exploration of recently-available archives from both sides — top-secret Kremlin files and the personal papers of Mikhail Gorbachev, as well as the archives of Ronald Reagan. These chronicles, personal diaries, and previously classified memoranda are deeply enriched by the personal reminiscences of many of the key players of this era. Serina lays out this pivotal moment in history clearly and dramatically in this landmark work, as the world stands poised on the edge of a potential new arms race.